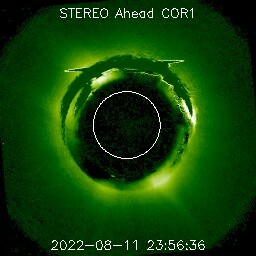 The NASA Solar TErrestrial RElations Observatory (STEREO) mission consists of two identical spacecraft which were placed in two different orbits around the Sun. 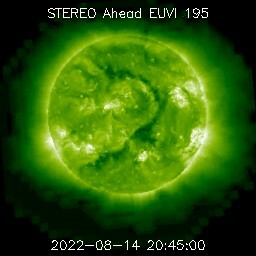 STEREO Ahead was placed slightly closer to the Sun than Earth and STEREO Behind slightly further away than Earth. This causes them to respectively pull farther ahead of and fall gradually behind Earth's orbit and thus exposing the farside of the Sun. 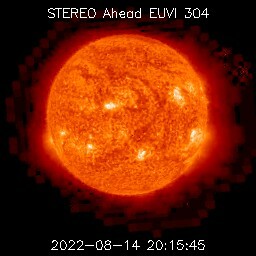 On the site you will find data from the SECCHI instrument: the extreme ultraviolet imager (EUVI) camera showing the Sun in the 195 Ångström wavelength and two white-light coronagraphs: COR1 and COR2. 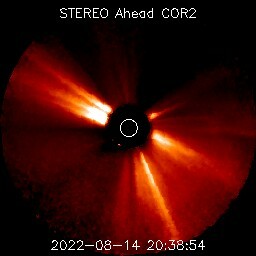 Where are STEREO A and B right now?